The team behind Animal Kingdom and festival director, Michele Devlin. Left to right Anja Mahler (producer), Dean Kavanagh (writer & director), Michele Devlin and Cillian Roche (actor). 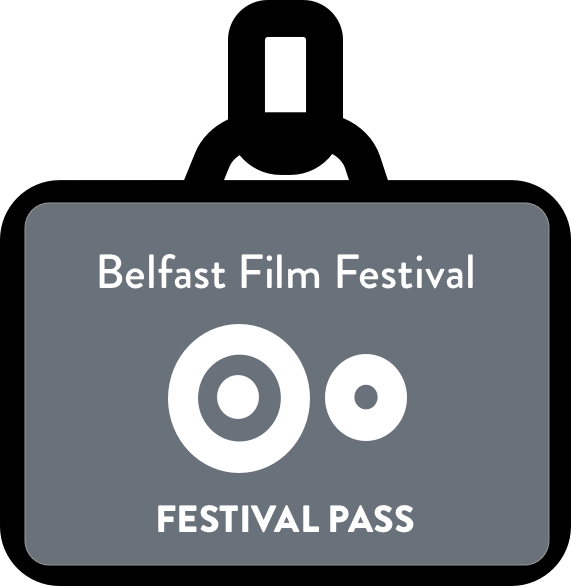 Day Four was packed with the last of this year’s NI Independents, some great films in our Beanbag Cinema, New Cinema, Twisted Cornea and the infamous Belfast Film Festival Quiz. We kickstarted the day with Papi Chulo in the Queen’s Film Theatre, the new film from John Butler (Handsome Devil), who returned to his themes of empathy and unlikely friendship as he presented us with the bond between a well-heeled, gay presenter and an older, straight labourer from Mexico. Over in the Movie House, Dublin Road, the last of this year’s NI Independent’s were screened – Salvation Door and Bathroom. Both screenings attracted a large crowd for these two very different screenings; Salvation Door follows a 70 year old British Indian man who was abandoned by his family except for his married daughter Udita while Bathroom followed Ken Fanning and Angelique Ross spending a week in their bathroom. Over in the Beanbag Cinema we screened the documentaries Dostoevsky’s Travels and Yours in Sisterhood and then the animation Shivering Truth, which was described as The Twilight Zone crossed with American Horror Story dosed with a bit of The Simpsons: Treehouse of Horrors and then run though a high-speed blender. Ahead of Aamir Khan: In Conversation (which is tomorrow!) we continued our running streak of screening Aamir Khan films with Dangal, which follows the extraordinary life of Mahavir Singh, an ex-wrestler who is forced to give up his dreams of winning gold for India in international wrestling due to lack of financial support. We also screened the Polish drama/mystery/thriller Fugue and Sometimes Always Never, the new film from Carl Hunter which stars Bill Nighy as a scrabble obsessed man trying to reconnect with his son. Sometimes Always Never screened to a huge audience in the Queen’s Film Theatre with some audience members taking to Twitter to comment, “A witty, warm & articulate film about the life-changing power of words”. As part of our Twisted Cornea section we screened Animal Kingdom which writer & director Dean Kavanagh, producer Anja Mahler and star Cillian Roche attended. We also screened Necropolis in the Strand Arts Centre, a film essay about the death of the city, shot entirely in cemeteries, graveyards and burial grounds in Belfast, Berlin and London. The director, Daniel Jewesbury took part in a Q&A following the film with Leontia Flynn. The much anticipated BFF19 Quiz kicked off in the Black Box with stern but fair quiz-masters Killer Joe Lindsay and Ronan The Barbarian O’Donnell with 20 teams battling it out for the top prize! Brexit at Tiffany’s may have won best team name but the winners were Quizpickable Me 2 – congratulations and well done to everyone who competed!